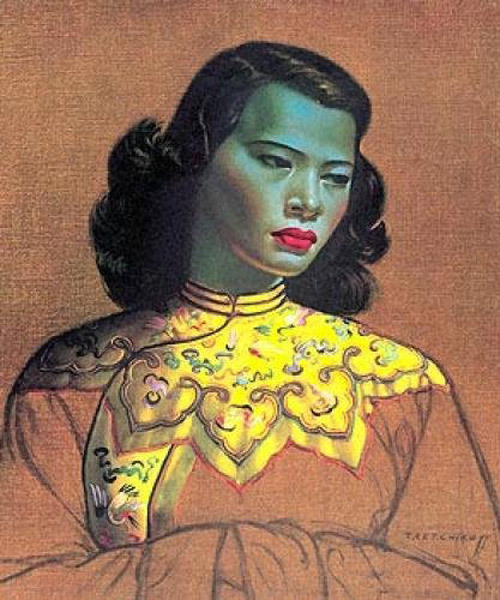 Mistakenly identified by facebook as Vladimir Tretchikoff’s blue woman in a freak tagging blunder, Trevor, now afraid to show his real face, hides behind the blue woman mask, turning up on facebook in a variety of obscure places. Trevor Rowland. 12 Years experience in the film and computer games industries. Python developer, 3d Modeler, Animator & sometime cook.